Most, if not all, of you reading this here would agree Steemit is great! We get to express ourselves without blatant censorship by the mainstream social media networks and, best of all, you get paid to do it! How great is that? Yes, very cool, but why are all your friends still on Facebook gifting their time and talents to that vampire Zuckerberg who’s sucking them dry by selling all their information to the highest bidders (including government intelligence agencies) and not sharing any of the profits. Well, the answers are simple: Facebook’s network effect is still very strong, your friends probably don’t know about Steemit at all, and to be honest, Steemit and crypto currencies are also kind of complicated for newcomers to understand. So, what can we do to bring the normies here? I’ve done a fair share of “normie tele transportations” from Facebook myself so let me share what has worked for me and them in three easy steps. We all unconsciously dread change, so you need a very strong incentive to get people to jump ship. What better incentive than cold hard money? Yeah, it works! Do send your friends links to Steemit Whales who make hundreds or thousands daily by posting pretty photos. Yes, go ahead and show them the money! Do not, I repeat, do not send them links to those Whales you follow that only blog about highly technical stuff. Yes, they are super cool and know a lot about crypto but will only scare newcomers and get them to think only nerds can thrive and make money here. Boost them with a 100%, encourage them to post and reestem them. Ok, your friends are here and they wrote their first post. Now it’s your turn to use 100% of your power and boost their posts! Yes, you brought them here, you have to take care of them, nourish them and get them to grow like those 90’s Tamagotchis, remember those?. They will initially be minnows without any power, but with time and effort, some of them will surely grow, provide great content for the Steemit community and return the favor to you and everyone else. Everyone gets initially discouraged here right? We have all been there: No one follows you or reads your posts (except for those pesky spammers), there’s very little money to be made when you are a beginner, all your efforts seem to go nowhere… Well, if you followed and kept step 2 your friends will not feel alone and abandoned. 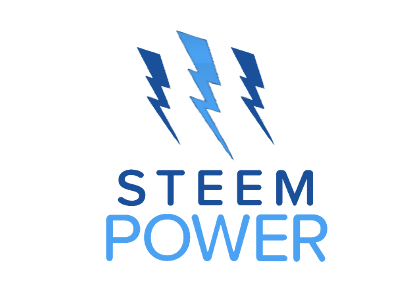 Their posts will have more chances to be picked up by other Steemians so their follower base and steem power will slowly grow. I usually describe Steemit (and Steem Power) to newcomers as a snowball that you have to grow little by little. The more they grow it, the more it will grow the next time you add a new layer. Don’t over burden them with fancy talks about Steem dollars, Steem power, Steem savings and all of those terms, it will only scare them. Keeping it simple goes a long way! I hope you liked this post, please reestem and let’s bring those normies in! Facebook is done! Right Zucker? Haha love you all. Keep steeming! Tell me what you think of this post in the comments below. This is not professional investment advise. I'm not your financial advisor. Only invest money you can afford to lose! Thank you for the well written post. Consider yourself upvoted and followed. I have been bringing as many friends to the wonderful Steemit community as I can. Your advice will be very helpful in doing so going forward. Your best advice is to keep it simple. There are so many details that when I get excited and start talking about all information there is I probably overwhelm my friends. I will try to keep it simple and just get them to be active and interactive. Thanks again for the great post. I hope everyone uses this to help bring more people to this great platform. I know I will! how can i get more upvotes? The snowball analogy is a very good one. The more you interact with other Steemians, the more your own efforts are recognized and rewarded by others. If there is one piece of advice I would give to newcomers it's this: comment, comment, comment on other posts and build up those relationships. Which is how you make good friends such as yourself and @taskmaster4450! You guys are awesome! Great post, I agree with everything you said. Keeping things as simple as possible is a good strategy so our friends are not overwhelmed. One of the things that's really different on Facebook, is that Facebook posts rarely are about Facebook itself. However, here on Steemit a very large portion of the posts is about Steemit itself. On one hand this seems necessary for the platform isn't really self-explanatory yet. On the other hand it also seems very 'evangelical' to the normies. Maybe we need more simple and fun content here on Steemit to make normies feel welcome, I think. Agreed, fun content is a must. I'm guilty of this myself, always writing about techie stuff... Gotta lighten up the content a bit. It is easy for me to avoid the bits and bytes since I dont understand them anyway. Thanks for sharing i will done upvote I always see your post. And follow you! What kind of fun content would you like to see? Good point although the difference between FB and here is that everyone who is on here has a financial interest in STEEM...on FB, most who are on there posting are not stock holders. It's not easy for a normie to adopt an ownership mentality. Sheep are rarely great leaders. That is true...although most on here do get the financial component...in fact that is what attracts most in at this point...hell it is what people are on FB and YouTube touting....so that is what people are going to think (I think we should cool the money aspect in the marketing and stress other aspects). But you are right, the masses are followers....most will arrive here when it is fashionable to do so. They will arrive here when they see that those who they follow on twitter, fb and youtube are moving to some strange and ugly platform. And where they have some strange and big numbers with dollar sign under their posts. Yes you are correct @taskmaster4450. Everyone on SteemIt is interested because of the Rewards that they get for every content they post here. I think some of us or most of use still use Facebook. Well I use both. I have specific reasons why I still use Facebook. I gree to this, but even on Facebook, majority of the followers are just in bandwagon. As in, some of them if this opportunity of steemit is introduced to them, they would be glad since some are struggling financially and are using facebook for passing time. Another point is on data usage. For the case of 3rd world countries like Uganda, most yourth subsribe for social bundles being cheaper and there is alot of idleness on the as what is shared may not necessarily be beneficial to others. Steem in my opinion a better platform because you interact with people randomly and I never do that on Facebook. Also content here is more educational. That might just be me because I don't follow that many pages and my friends post strange things haha. Normies do want more fun I'll tell you that since I'm fairly new. Steem is a better platform in many many ways! I love Steem like Carlos Matos once loved Bitconnect. But yeah, Steem is also very young still, it'll be a great experience having first row tickets when this thing really takes off! It is interesting to see what else they will add in the future. I see you've been here since June have they made any changes since then? Version 19 (HF19) was in June, there have been many little tweaks and improvements, but no real fundamental changes. Those will come with HF20 and then HF21 which will bring SMTs if I'm correct. Exiting times! You lost me. Where do you find more info about HF20 and HF21? @steemitblog just made a new blog about upcoming developments! You don't need to write so much things about yourself to have fully loaded profile on Steemit than on Facebook. Anyway, at some point Facebook was small and when people saw its features, purpose and potential, it started to blow up. When people will start noticing Steem's upsides, maybe we'll become Reddit of Crypto. Ha. Showing the money is always good! Whales adopting new minnows is also very good. Thanks for commenting @treebuilder! I was actually introduced to Steemit twice: First through my own research, then through a friend. When I first encountered it, I was just met by posts about the platform itself, so I got the impression that it was only the people who had made it who was using it. Something that makes Google for example lose out a lot and may make them lose the whole video side online is because of poor communication. All it would take from YouTube is some real care and they wouldn't lose millions of dollars in value by people moving away to other more caring platforms. All it takes is a little bit of care and it makes people feel valued. Don't want to see Steemit go down into that rabbit hole. Even when there is no exciting new announcement it's still good to show what you are working on. Showing a bit of a human side. It's truly amazing how great the transparency system is on Steemit and how it makes the whole platform more win-win. Since it creates more real trust. And as you say people are incentivized to behave well since they have a reputation score they want to keep up! This creates way less spam and creates an overall better user experience. We have so much free time these days and taking 10 minutes to care about someone else by producing some value to them will be so rewarding for both sides! I want to see Steemit be the best company in the world when it comes to transparency and communication! Yes! I definitely think a little more fun content would help. I shied away about a year ago because I mistakingly thought that Steemit was just a forum for cryptocurrency talk after a quick look around. Nice post. I am new to this space but there is a lot of knowledge being laid around here... better stop wasting time on facebook now. I agree! However, in my humble opinion, it seems that the most upvoted and promoted content is cryptocurrency and the photography niche that seems to be very well established in this community. However, anything other than that doesn't take off. However, I do think that will change. People are already coming to steemit . Fb lost a million users recently . Steemit saw record registrations . I am not sure the users who joined here were Facebook people. My observation is that it could be more YouTube....Google upset a lot of people...and took some money out of their pockets. You did a wonderful job by posting this quality content here about steemit. 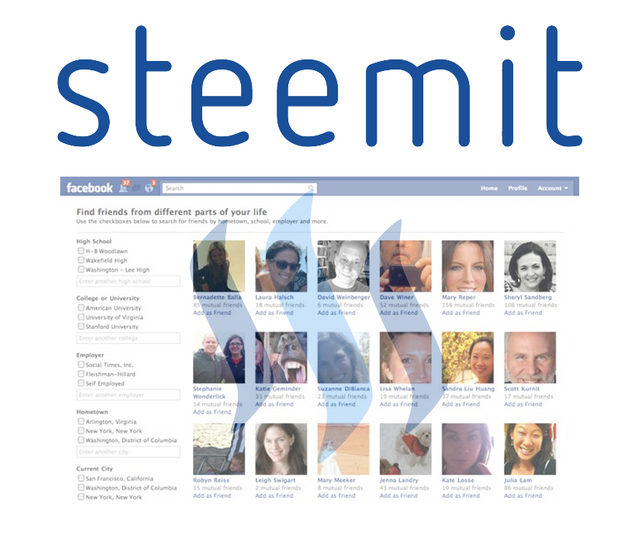 Yes, we all love steemit because it paid out to all community who spend quality time out of here and this is GREAT platform in front of bullish FB who wasted our time and talent. I quit to use FB when I joined STEEMIT completely. This platform has given me second breath to my love. I love this platform much more than myself. Here SP is really acting like a snowball and we should hold it strongly to maintain our position. Very important topic that you shared. We should appreciate new comer by voting their post and help them interested about steemit. I think it is one kinds of charity by help to earning. All good points. I try to write my posts in an effort to help the newcomers along. This is a community so it is no surprise that I agree with the second point completely...take care of the people you bring on here. It is crucial. Also, get them commenting...that is the golden nugget....no matter how little one makes on an article, there are riches found in the comment section of each post. Dude I've tried. No luck. Normies are gonna be normies. I've done it. It's not impossible, just hard, keep trying, you'll see. Show them the money! I do keep trying. I might throw a SteemIt event at my place. I LOVE SteemIt. I have showed them the contents of my wallet and they are not impressed. Haha I have shown them the wallet contents of popular blogs on SteemIt... and that at least get their wheels turning for ideas. There is also internet chatter that Dan Larimer is going to build a competitor to SteemIt. How do I deal with that awkwardness of spending a lot of time on SteemIt only to possibly be seduced by a competitor that works better and move there? New blog, different theme? I love SteemIt, but it is not perfect and definitely has issues. Steemit is not likely to go away anytime soon. Besides, the platform is not really important, for me what's important is to escape the censorship, propaganda and manipulation of the mainstream social media platforms. if Dan comes up with a new great Steemit I'll just have an account in that one too. Everyone gets initially discouraged here right? We have all been there: No one follows you or reads your posts (except for those pesky spammers), there’s very little money to be made when you are a beginner, all your efforts seem to go nowhere… Well, if you followed and kept step 2 your friends will not feel alone and abandoned. Their posts will have more chances to be picked up by other Steemians so their follower base and steem power will slowly grow"
I have upvoted and resteemed this excellent work to share with others! The problem I'm having is people are telling me "They're not letting me join" - people are not getting approved in a timely manner, and one guy seems to have lost the phone the code was sent to and can't figure out how to get a new one sent. I'm not them so, it could be PEBKAC, but, people are telling me it's taking a couple of weeks and they still haven't gotten approval. Is there any reason it could be taking so long? Steemit is still a bit confusing, are we getting the right information from people on here? So many steemians will have different methods to what suits them. There is a lot of videos, blogs about this, it's finding the very best and hopefully the top steemians are directing us the best way. Great post - thank you. Just a quick and simple read for a newbie, none techie #minnow like me. The biggest challenge I am facing in bringing other newbies here is how much Zuckerberg has spoon fed the followers - such followers like easy 'I don't have to think' content and format. That's where #steemit is challenged for the masses. Remember when #snapchat and other social media channels were launched and they didn't even give instructions on how to use, it was so easy, simple and intuitive. That's the spoon-feeding, don't make me think culture of the masses we have. I feel most early adopters see this as being valuably heard by those who do think and if they give enough effort they will be heard and subsequently rewarded; it just takes time! Value converts to reward - if it's the other way around; stick with 'likes' and smilie faces from Zuckerberg! Great concise way of making a point! I think that is the best way to convince more people to join this fabulous platform. Encouraging newbies with their first post is a good idea and resteeming it for others to see. Also, I would mention the community part of steemit. Just by joining a couple of Steemit Discord channels, I feel like I'm not a lonely fish in the sea. That community feeling is something very valuable as it can build long-lasting relationships with awesome people! Excellent advice, especially about keeping things simple. The way the financials on steemit takes awhile to wrap your head around, but for normies the important thing is that they can post things and get paid! They can delve into the deeper stuff later. the biggest issue is, that steemit currently still is sort of niche and most of it's content also is. So the content that is growing strong on here will still be niche for quite some time, unless the users on here venture into sub- or off-topics. Until then, I think the concept of steemit might be nice for normies, but looking at their success rate when they're at it trying it out would scare them away. I just guess that content might seem too irrelevant for the current group of users for them to get upvoted. Another way to "show them the money" is to point out to them that according to Facebook's advertising numbers, Facebook actually costs users somewhere around $1000 a year in stuff they would not have otherwise purchased. I was a normie myself until I realized I could potentially earn some money from just talking about my passions on this site. This will be the most effective when account creation delays are removed. There's no way you can bring all your facebook friends over when they have to wait up to 7 days. Most non technical users won't put up with that and will simply forget about Steemit in the time it takes for approval. Welcome Charella! Be consistent, bring great content, don't spam and don't give up! Wow..thanks for this encouragement..you arw definitely right. Mark z. sends info to investors when all we want for our personal details to be seen only by our family, close friends or relatives. Your post is very informative. 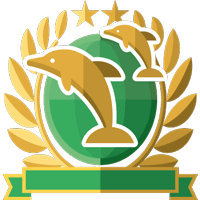 You got a 6.96% upvote from @postpromoter courtesy of @cryptoeagle! Great post @crytoeagle I love your first point, for me I am hoping I can get enough money so I get a project completed and then BOMB! Show my facebook friends as proof with that, a lot or normies are gonna flood steemit. You got a 9.29% upvote from @buildawhale courtesy of @cryptoeagle! I am so active with facebook for the longest time now. And yeah you are right we dont get anything from all the things we share there. Yeah I agree with you. The money is a great inceentive for people to see the value of the community. And when they see that it's possible, they will want to come on board. But it can get quite discouraging when they are posting and upvoting and not seeing the rewards. That is where they will need a friend to help them get through the tough times. If there is a way we could recognise and encourage all the newbies, the fact is at first its not easy, writing quality content that tools hours only to get an upvote of $0.05 at times. I am a living witness. Presently I have a project to reach at least 5000 students in my university before the end of march but where are the support? Please lets always support the newbies, we were all newbie in this platform..
Kindly comment here as your support is highly needed, we can make this community grow. Steemit is a social media site on the blockchain. The blockchain is a revolutionary technology which decentralizes power and money. Steemit is a blogging site where we reward each other for contributing valuable content by upvoting it. Each upvote gives the content producer Steem, which is a currency on the blockchain that can be held as an investment or traded for US dollars. Accounts are free, and when you sign up you're given free Steem to begin upvoting content you like. You can also start earning Steem yourself. You can upvote articles like this and become part of this vibrant, leading edge community by going to https://steemit.com and clicking "sign up." Maybe after clicking on my links enough times they're gonna be like ok what the hell is this Steemit thing. I am new to this platform and found it after doing some research on coins. Sadly none of my friends are interested in crypto (Bizarre people) so getting them over here will be a long process, but I am sure it will happen one day. Got to go now and start adding a layer to the tiny snowball. There is no better way to have put. I was spoken to about steemit late december last year, but i did not take it serious until @addempsea showed me his last withdrawal. I ran to my webpage like someone who was going to paid almost immediately. The experience here and the hurdle has been interesting. Sir I agree with all of your suggestions. Include to boost your friend with 100%. Posts about this topic are more than welcome because the issue needs to be discussed thoroughly. Namely, it is harder than one would think to get people onboard. I disagree that showing your friends the accounts of whales posting pretty pictures and making out like a bandit and aggressively appealing to their greed is necessarily a good thing. First of all, a lot of people are sick and tired of scammers and multi-level marketers. You do not want to appear to be using your friendship for financial gain. When you do that the first reaction of all intelligent people is whether there is some hidden agenda. What you should do instead is to tailor your pitch according to whom you're talking to. In my opinion, you should read the Steem whitepaper to understand founders' vision to be able to better answer to your friends' questions about Steem. Then you can proceed to explain that there's a chance that over time as you gain a following, you can make a nice side income from blogging on Steem. Show your friends your account or show them steem.supply and search in your account name. Trying to get people onto this platform has almost been impossible for me. I have managed to get four people onto it, but only one is posting at the moment. I've almost decided to give up, but I decided instead to hone my focus on certain individuals who will grow together, as this article states. Don't Quit On Them - You'll both regret it. I want my best friend to prosper through this website. 'Normies' reminded me of this scene from Family Guy! Im new to Steemit and love the idea of making some cash while doing what you would be doing on Facebook (ive barely been on Facebook since finding Steem). Totally agree. Helping adoption is a top priority. The easier and more simplified we can make it for new comers (such as myself) the better! I was just thinking to myself about how I can convert my friends over from Facebook. Everyone’s suspicious at first as I have discovered. First, I love the term “normies,” which my phone wants to autocorrect to Mormons. The Tomogachi analogy is spot on. It’s also timely as Toogochi’s are attempting to make a come back. LOL Normies, I like that! I have gotten 8 people to register since I started on here 3 weeks ago. Most of them have a basic understanding of crypto though, I have yet to successfully get someone on here that doesnt have that, so I have to teach them the basics of crypto first. Awesome post. I was attracted to Steemit as I've always wanted to start blogging but never got around to it. I started discovering the crypto world a few months ago and have been so excited about Steemit so far. I've tried to get 2 of my sisters on board as well. I've been successful with one of them so far and still working on getting the other sister started. I get so excited talking to them about STeemit and where it can take the world. Thanks for the tips and your post! good post. I also try to get my friends over ro steemit. Yeah.. your right. Only Zuckerberg who earn billion dollars in his website. Dictates a saying attributed to J.J Rousseau: "Man is intelligent and the mass is stupid". Each individual is able to define for himself what is convenient for him, as well as critical of his circumstances. Distinct the "mass", the people gathered as a whole, where decisions are not discussed, rather they are followed as by imitation or inflamed for the moment: riots, lynchings, carnivals, demonstrations, sporting events, orgies,..., Facebook. 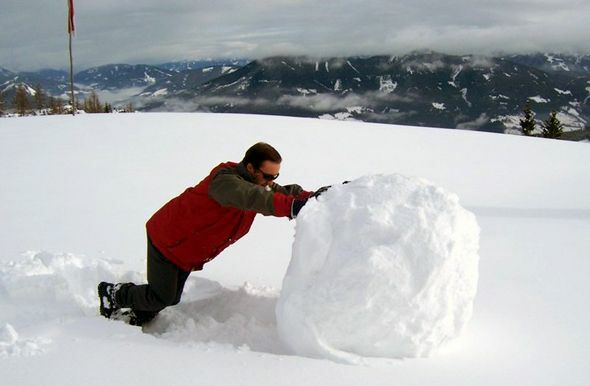 this is a snowball because numers of steemit at great. 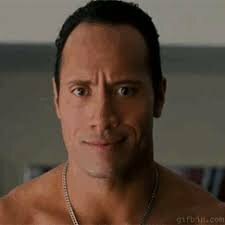 However newbies have like 0% chance of growing when there is about people paying bots to promote their bots so the new people votes them trying to get curation rewards. Very good advice to attract new friends. thanks for updating everyone with this news keep it up. From time to time, many governments in the world have warned against cryptos. The mad upsurge scares a lot of people. Cryptocurrencies being complicated to understand scare people off. Now, coming to Steem. At the surface it appears like a stupid attempt to attract new users. People feel it cannot last for too long n earnings will decline later. Steemit takes a lot of time to understand. Most people adopt something only when everybody has adopted it. Early movers take risks and get advantage. Last movers hate risks and get safety instead of advantage. Most people prefer to stick to Last mover safety. You have made my day. Am one of the new comers but was wondering, on how to win friends from other social media platform like face book. Some of them when you try to introduce them to steemit, they seem so regid claiming of the big numbers of followers they have. And, some crypto currency is a compex terminology / concept still. Little do they know they financially benefit nothing apart from enriching the proprietor - Zuckerberg. Am glad for that insight and strategies. Let me give my self a target of having a signup friend from Facebook everyday. People wants to know everything about others, that is the way that they get engaged. We should show the money that they could win and that they also could know prívate life too in steemit. thanks for sharing this type of news............resteemed. Something that is extremely extraordinary on Facebook, is that Facebook posts seldom are about Facebook itself. Be that as it may, here on Steemit a vast part of the posts is about Steemit itself. On one hand this appears to be important for the stage isn't generally plain as day yet. Then again it likewise appears to be exceptionally 'fervent' to the normies. Perhaps we require more basic and fun substance here on Steemit to make normies feel welcome, I think. You just copy/pasted the comment made by @fitzgibbon. Yeah I saw that and figured I would just make a comment....I thought you would be salivating at that one. Someone like him needs to be turned over to steemcleaners...I think they have something for that..
wow super article i need this information i resteem your post to help more people like us :-D thx man ! @cryptoeagle i have question,i heared that steemians get steem power on lease(pact),how we could?? Steemet es mucho mejor plataforma pero las personas nos acostumbramos a algo y luego es muy dificil cambiarlo por ello tomara un poco de tiempo que steemet se posesione.. Sin embargo hay que seguir trabajando entre todos lo lograremos. Hello, @cryptoeagle, my name is Ian Edwards, I'm a freelance journalist doing an article about whether it is possible to earn money using Steemit as a content creator. Would you be willing to discuss your experience with me? Any insights you have would be appreciated. You can see my work here on Steemit at @enedws and I'm on Twitter at @ianedws. Thank you! we can know about their thinking, about their culture, about their countries. Indeed ! it is a great platform, along with the knowledge we can earn some bucks to support our families.